(sigh) I had to miss this year because my wife is too close to labor. It's my favorite show and I hope to make it back next year. Beautiful comic, though, as always. 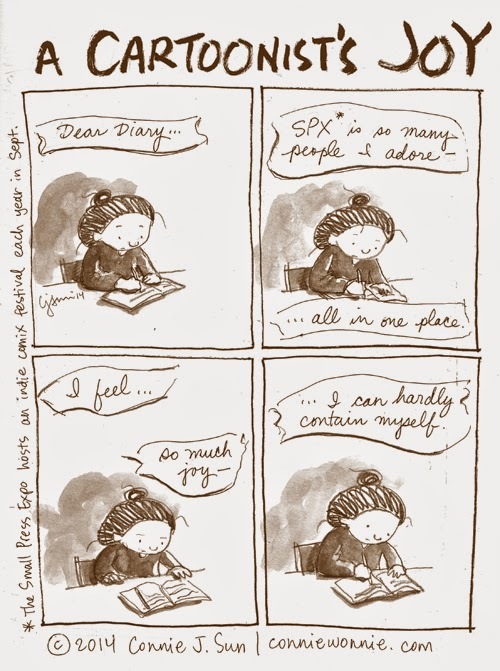 Ms. Wonnie, I apologize for asking, but how would one go about being a part of SPX? Is it a type of committee that one would have to be invited by them?